Once you have data, you can then visualise it in a number of different ways, depending on the metric. 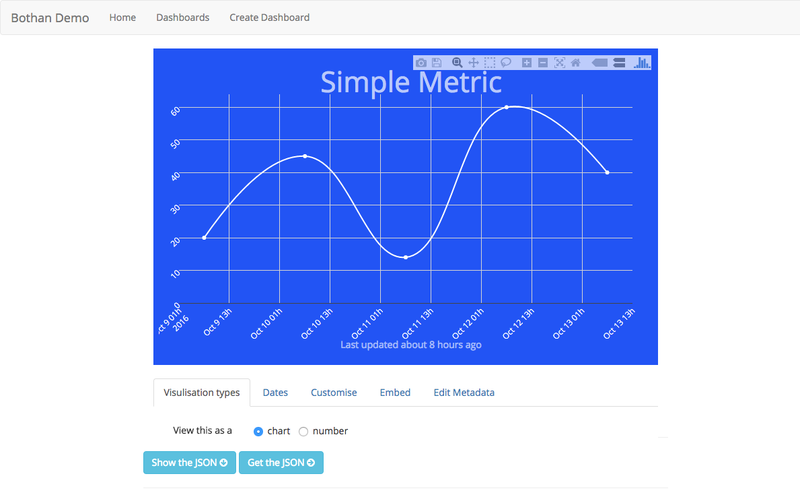 You can explore these on your individual metrics page (for example https://demo.bothan.io/metrics/simple-metric/), or manipulate options via query strings. You will also be able to copy and paste embed code for a metric as an iframe. map, which renders a Leaflet.js map rendering. This is only supported by the geographical data metric type.